"A little bit of the country brought to the city"
Althorp Lodge Bed & Breakfast is a stone's throw away from the Beautiful open spaces of Wandsworth Common and a very short walk to Wandsworth Common station. 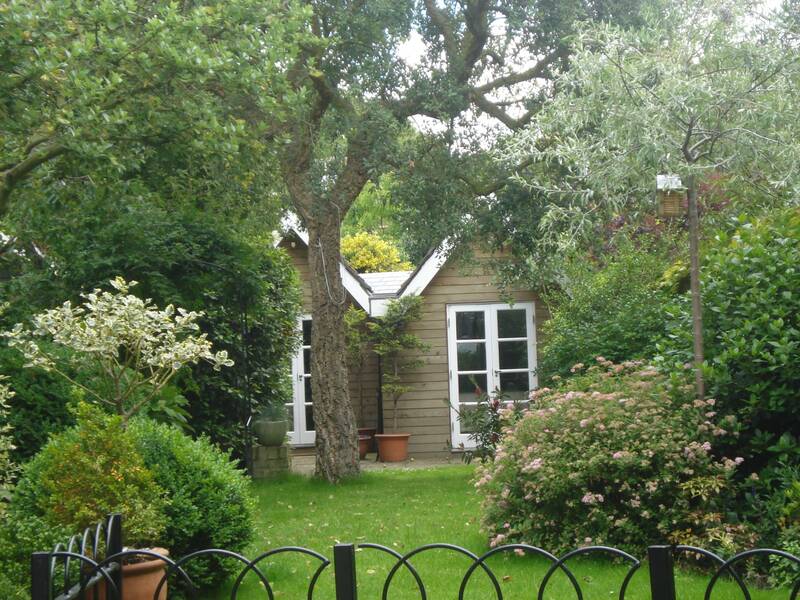 A family run B&B consisting of a self contained lodge in the garden of the family home with its own separate access. Close to both rail and Underground stations with the centre of London reachable in around 30 minutes. Well situated for events such as the Wimbledon Tennis Championships, the Aegon Tennis Championships at Queen's Club and the Chelsea Flower Show. "A very warm welcome, a lovely, quiet place to stay. We couldn't have asked for a better host or a more charming setting. Thank you and merci"
Self contained lodge in the garden of a family house. Bedroom with king size bed and en-suite bathroom. Balham and Tooting Bec underground stations are both 10 minute walks away with trains every few minutes on the Northern Line to the West End and City of London. There is also a direct service to the Eurostar Terminal at St Pancras. We are located close to the South Circular (A205 London ring road), the A3 (to the South West) and the A23 (to the South). Free parking is available at weekends just around the corner in Balham Park Road. Routes 219 and 319 are both a 1 minute walk away. The 219 Bus goes to Wimbledon via Tooting and the 319 bus goes to Chelsea and Sloane Square (ideal for Chelsea Flower Show). The minimum booking policy is 2 nights. We accept bookings up to four months in advance. For extended stays we may allow bookings up to six months in advance. Check in is between 4pm and 10pm. Check out time is 11am. You may be able to store your bags if you have a late flight or train. There is Wi-fi available throughout the lodge. Looking for accomodation for more people? 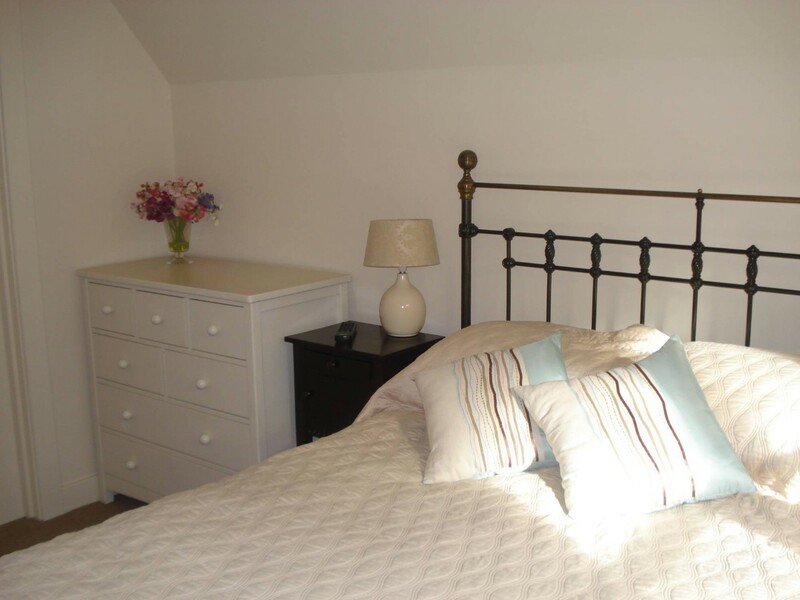 We have a 3 bedroom house nearby which is available on a self catering basis. Living room, dining room and fully equiped kitchen. 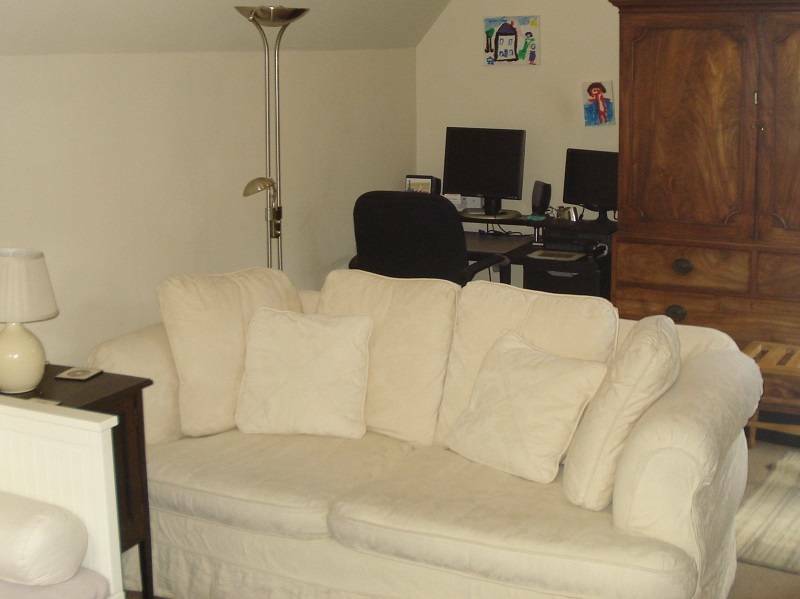 Three bedrooms, two king size doubles and one twin. Three bathrooms, walk in shower and two en-suite. If you think there is something missing from the website please do let us know.